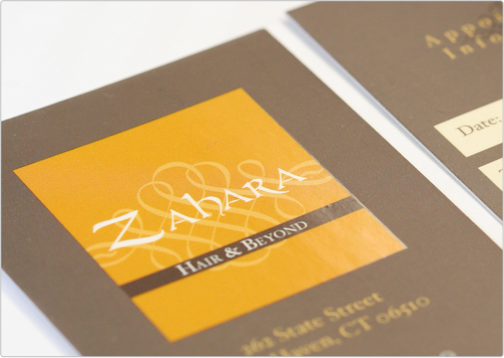 This business card was designed for a salon out of Connecticut. It is printed on a silk matte finish card stock. 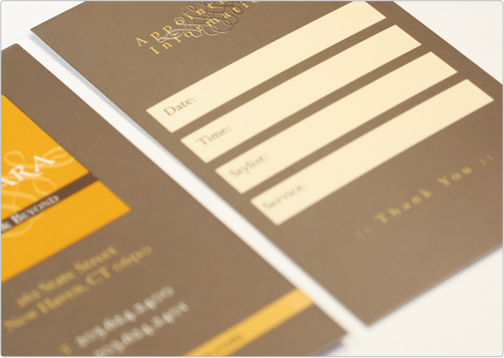 Silk business cards have the ability to write on, thus the back of the card contains the necessary space to fill in appointment times, etc.. 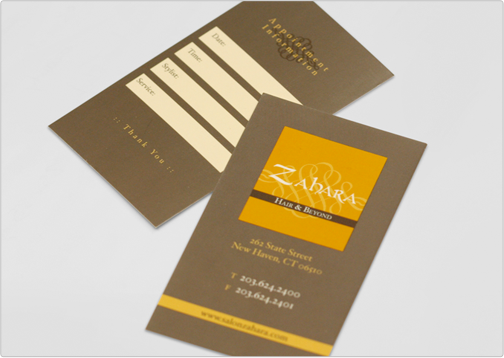 The design also implements spot gloss highlights for a classy image.